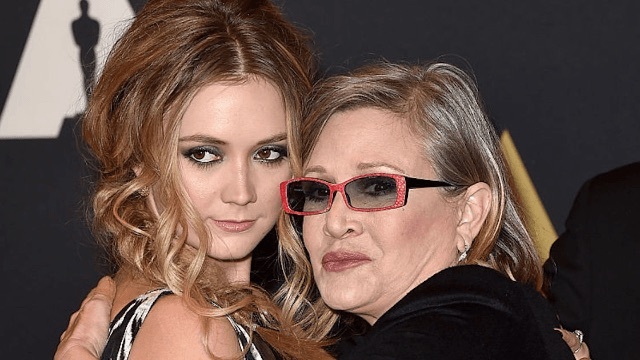 Billie Lourd posts a sweet throwback to her bunny days with her mom, Carrie Fisher. Bille Lourd posted an adorable and moving Throwback Thursday pic with her late mom Carrie Fisher. As the world mourns a princess and an icon, Lourd mourns her mom (well, Momby, as she was called, because Fisher said "mom" was too unoriginal). "If my life weren't funny then it would just be true and that is unacceptable," Lourd writes, a quote from Fisher's Wishful Drinking, and a key facet of her philosophy. "Finding the funny might take a while but I learned from the best and her voice will forever be in my head and in my heart," she adds. Last week, she posted an equally adorable photo with both her mom and grandma Debbie Reynolds along with her first statement after they both passed away. While we'll always miss Carrie, her legacy lives on in her movies, books, and her daughter's awesomeness.